A glucagon injection kit is used to treat episodes of severe hypoglycemia, where a patient is either unable to treat themselves or treatment by mouth has not been successful. 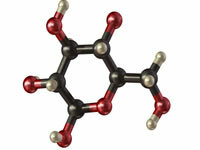 Glucagon is a hormone which helps to raise blood glucose levels. Always read the instructions of the kit carefully when using glucagon. When injected, glucagon is absorbed into the blood stream and travels to the liver where it signals the liver to release glucose into the blood. Glucagon can be expected to take about 10-15 minutes to raise blood glucose back to safer levels. Glucagon is for use when someone is suffering severe hypoglycemia and is unable to treat themselves. Read about the symptoms of hypoglycemia. Check the expiry date on the kit before administering. If the kit is out of date, call instead for emergency help. When administering glucagon, put the patient into the recovery position (on their side) to aid their breathing. The glucagon kit will usually consist of a syringe, a vial of powder and a vial of liquid. The instructions in the kit will give details of how to mix these for injection. Glucagon can be injected into the arm, thigh or buttocks. There is no danger of overdose with glucagon. Glucagon can cause vomiting so make sure the patient remains in the recovery position to prevent the chances of choking. When the patient recovers and is able to take food again, feed them with some quick-acting sugar, such as sweets or fruit juice, and longer acting form of carbohydrate such as bread, crackers or fruit. If the patient does not recover within 15 minutes, give a further dose of glucagon and call for an ambulance. Glucagon should be stored at room temperature, away from direct sunlight. Do not expose the kit to very hot or cold temperatures.